Founded by publishers, built on trust, fueled by data.  Partner with Monumetric and experience premium ad performance. Gain instant insights into your ad-revenue strategy, without a pushy sales pitch. Our site audits are built to empower you, the publisher. Your ads, in expert hands. 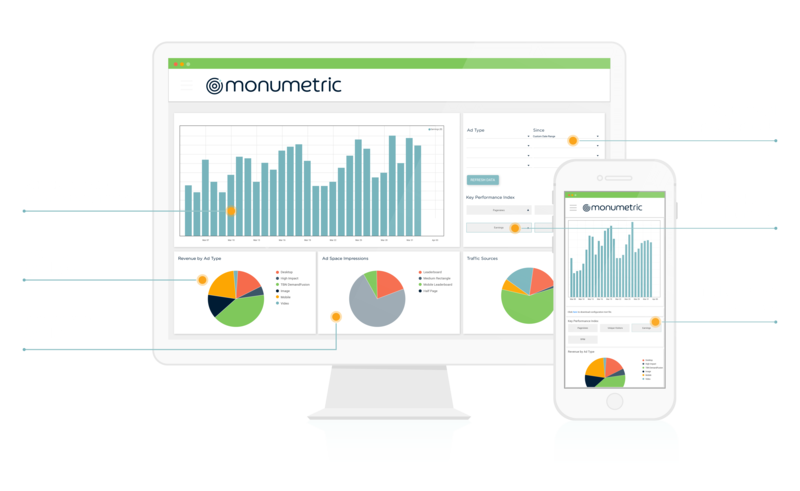 Monumetric is your full-service ad revenue partner, helping you reach your revenue goals while preserving the best user experience for your site. Our premium demand, innovative ad technologies, and dedicated monetization and data teams make profitable publishing possible. Constantly building, testing, and improving the latest ad technologies to deliver you the highest bids in the quickest turnaround. Ad strategies built for publishers, driven by data, and friendly for readers. Professional website specialists work with you to ensure monetization success and satisfaction. Your own custom dashboard displays comprehensive metrics to help you measure results and growth. Our ad management process is built from the ground up, 100% developed with publishers in mind. With ad-strategies built to optimize both your earnings and your reader’s experience, our blend of technology, placements, and premium advertisers are the keys to successful monetization. Achieving premium performance in a rapidly evolving ad industry means we pull in millions of lines of data every day, process them into visual models and use those to improve your earnings on a daily basis. Use our proprietary ads dashboard to track daily growth, results, and ensure your scaling is on track. Click to learn more about how we monetize, and what makes us different. VOLT is the very first header-bidding enabled video player available to a distributed network of publishers. By enabling the fastest loading video player on your site, you unlock the highest CPM’s available for your website. Don’t currently create video content? VOLT can provide relevant, high-quality video content to fill your video player in between advertising. It’s truly the easiest way to increase how much you earn from your content. Increase your website revenue as your site grows with a customized ad-strategy for your site. Control your revenue and scale your growth. Create the most profitable strategy for your business with advanced ad strategy, priority testing, and specialty ad ops team. Start scaling through ad revenue. Partner with your own seasoned team to turn big data into profitable insights. Execute scaleable strategies for high-volume traffic generation. Are you getting the most out of your ads? Get actionable insights and expert advice to increase your revenue. Schedule your free site audit today!